Whether it’s you, a friend, family member, or stranger, someone is currently undergoing treatment for breast cancer. While it can be difficult to help the people you care about during this difficult time, it is important to spread awareness about metastatic breast cancer and know the facts. Sometimes, we are uninformed when we hear the word “metastasized” and we don’t know how to react. We are here to help so you can be there for people in your life who may be living with metastatic breast cancer. What Does Metastatic Breast Cancer Mean? Oct. 13 is Metastatic Breast Cancer Awareness Day, and at Wheels For Wishes, we would like to set the facts straight. Metastatic breast cancer occurs when cancer has spread from the breast to another organ in the body. This is when breast cancer can become life-threatening. Typically, breast cancer spreads to the bones, liver, lungs, and brain. Currently, an estimated 155,000 American men and women are battling metastatic breast cancer. 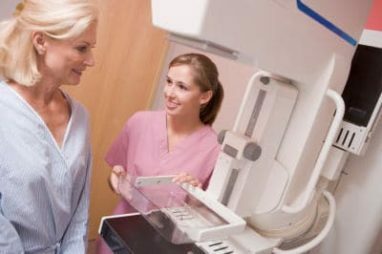 While mammograms are recommended, early detection does not prevent metastatic breast cancer. Metastatic breast cancer can occur 5, 10, or 15 years after the initial diagnosis, successful treatments, and annual mammograms. Signs of recurrence include weight loss, bone or joint pain, a cough, pain or weakness, loss of appetite, and changes in bladder or bowel function. Which Treatments Are Used With Metastatic Breast Cancer? Chemotherapy is usually the first action after being diagnosed with metastatic breast cancer. Hormonal therapy is also used to slow or stop the growth of cancer cells, and targeted therapy attacks specific genes or proteins on the cancer cells. Radiation therapy may also be used. There are plenty of natural methods that a person can take to ease the side effects of breast cancer treatment. Acupuncture, yoga, massage, and meditation can help. It is rare that a young man or woman will be diagnosed with breast cancer, but it is certainly possible. October is Breast Cancer Awareness Month, and we have a lot of great information on our blog post about breast cancer in adolescents. At Wheels For Wishes, we accept car donations on behalf of Make-A-Wish. We recycle or auction off vehicles and the earned proceeds from the sale of vehicles benefit Make-A-Wish and help to grant wishes for kids with critical illnesses. If you have a vehicle that you no longer want or need, consider donating it to Wheels For Wishes. Your donated vehicle will help to grant a wish for a deserving child in your community, and you will receive free pick-up or towing of your vehicle nearly anywhere in the United States. To donate, call 1-877-431-9474 or fill out our online vehicle donation form today.